As your dedicated loyalty vendor, we have some important news to pass along regarding your App program. In the last 9 months Apple has changed the way they accept Apps to their iTunes store. Previously, businesses like Total Loyalty Solutions, were able to brand a merchants App and submit to the stores on their behalf. Apple now requires each business that is being submitted to their store to have its own developer account. These accounts do come at a price of $99/year and once set-up, it is a reoccurring, annual fee, in order to remain active in the iTunes store. 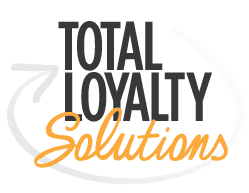 Total Loyalty Solutions is simply passing along the charge to our merchants without any additional mark-up. There is nothing for you to do at this time. However, should you want to get this process started, Total Loyalty Solutions is here to help you set up your developer account. Currently, your App will remain in the store but if you decide to make artwork changes or major content updates, you will be required to have a developer account in order for us to resubmit and have the updates reflected within the App. Also, any upgrades or enhancements we make, can only be installed for those who have active developer accounts. We appreciate your cooperation and understanding. Feel free to contact us if you have any questions.